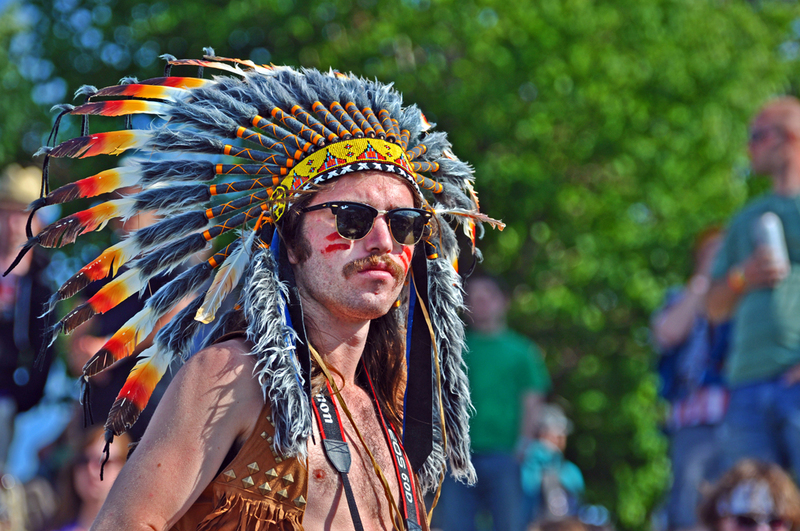 Cultural appropriation is a hot topic these days. And rightly so. Getting woke to cultural appropriation ranks up there with waking up to white society’s systemic racism or male society’s inherent sexism. It’s about time, past due. Unfortunately, many are inclined to take the above balls and run with them right off the nearest politically-correct cliff. When a white person protests, “I am not a racist!” they betray their congenital racism. When men co-opt the role of victim from abused and harassed women, they betray their deep-seated misogyny. Similarly, when someone issues edicts about what constitutes appropriation from cultures not their own, they betray their sense of cultural entitlement. And when followers of a spiritual path extend their unwarranted sense of cultural entitlement to matters of faith, they have their heads up their collective asses. What made me face-palm and inspired this rant was a post shared by my long-time friend and erstwhile coven-mate Oberon. Apparently, it’s trendy among some “left-leaning” Pagan groups to police which gods their fellow Pagans are worshipping. Indeed it does. Neo-Pagans realize, don’t we, that our spiritual communities are modern social constructions, not authentic reconstructions of ancient religions? At best, our rites are based on keen observation of the cosmos and natural world and a hefty amount of research. More often they are a mix of inconclusive findings, subjective opinion, fond hopes, popular theories, intuition, imagination, and guesswork. Nothing wrong with that, of course, but with so flimsy a foundation, where does anyone get the chutzpah to claim pope-like infallibility on matters affecting the heathen-sphere at large? I’m not saying our goddesses and gods don’t speak to us. I’m saying that if a voice is telling you you’ve got the right to dictate the parameters of someone else’s spiritual beliefs, that voice is your own. Yes, there are a handful of bona fide “ethnic religions” that limit their membership to particular individuals (as opposed to “universal” religions like Islam, Christianity, and Jainism that claim to be free of national and geneological restrictions). Some ethnic religions are denominations of larger, parent faiths and truly exclusive; you must be Assyrian to belong to the Assyrian Church of the East, for instance. But non-inclusive sects (can I call them “sects”?) are rarities. Judaism is also classified as an ethnic religion, yet anyone can choose to become Jewish – and make Jewish culture their own – any old time. It’s a personal choice; ethnicity never enters into it. If these holier-than-thou Pagans want to run with the idea that only those endowed with a specific ethnic heritage have the right to pray to specific deities, they need to take it to its utterly, patently, mind-bogglingly absurd conclusion. Fair’s fair. Religion is religion. If they’re going to color-code the old ones, they’d better color-code the newer ones as well. I can hear some of you objecting that it’s a false comparison; your (new-ish) god is the one true god, so, of course, your religion is one-size-fits-all. Yeah, that don’t cut no ice with me. Unless and until y’all cop to modern religions’ unbridled cultural appropriations, agree on the same mono-deity, and Christians stop doing the math wrong (father, son, holy ghost, mother, devil – that’s five gods off the top of my head), you don’t get to exempt your faith from the fair’s-fair cultural-appropriation assessment. Religions travel. Doesn’t prove anything. As they are typically linked to fixed geographical features and localized natural phenomena, pantheistic-animistic belief systems are less prone to travel than monotheistic, pie-in-the-sky religions. Yet they have done, as countless centuries of evidence attest, and none more compelling than the ubiquitous Venus figurines of the Upper Paleolithic that litter the Eurasian archeological landscape. 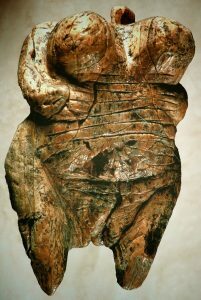 The record boasts some 20,000 years of sculpted clay and carved bone, rock, and antler honoring the voluptuous female form. In the face of such widespread Goddess-worship, the fact that a few fanatic devotees of a few jealous gods felt compelled to journey to the ends of the earth proselytizing is a piss-poor reason for letting the new-fangled religions off the cultural-appropriation hook. Besides, while not every deity has zealous missionary monks or other ready-made salespeople eager to run around the globe soliciting new adherents to the faith, as a rule, religions don’t turn away new customers. Just because the Vikings didn’t demand the survivors of their raids sacrifice horses to Ođin or wear Thor’s-hammer amulets around their necks doesn’t mean they were averse to non-Norsemen making blót sacrifices, were they so inclined. So fair’s fair. 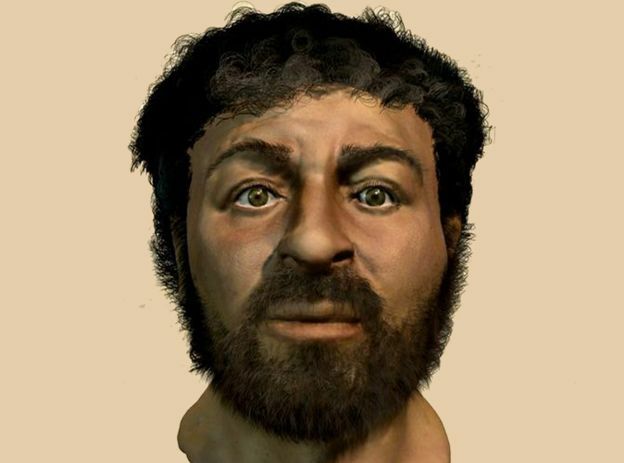 If you have to be a brown-skinned North African to worship Bast, then you have to be a Semite, if not a Galilean, to worship Jesus. Yes, I’m afraid all but a select few Christians are morally obligated to leave the church and revert to their ancestral faiths pronto . . . which, too bad, is going to be dang tricky for African-Americans whose ancestors were violently and irrevocably torn from their families and cultures by slavers and made to kneel before their oppressors’ gods, for First Peoples whose ancestors were driven from their sacred lands by colonialists and from their spiritual traditions by the forced assimilation policies of the boarding schools, and indeed for all indigenous peoples who lost the spiritual core of their identities through the religio-centrism of Christian missionaries. It’s going to be dang tricky for adoptees who share no genes with their parents. Now I think about it, it’s going to be dang tricky for the Vatican, too . . . guess Christianity is pretty much a bust if we’re going to insist people ditch their culturally-inappropriate gods. Obviously, you’ve got to be an Arab to call yourself a Muslim and pray to Allah. Presupposing the current hypotheses regarding Siddartha’s origins are correct, only those who can trace their lineage to the 5th century eastern Indian subcontinent have what it takes to be Buddhist. And yikes, guess I need to stop practicing Tai Chi Chu’an and burn my copies of the Tao Te Ching. I am ethno-culturally unqualified to revere Lao Tsu. Or am I? I have the right look, or at least I did in my youth. Ah, but what you’re seeing there is a drop of Siberian DNA. I don’t have any East Asian chromosomes linking me to the Chu state of the Zhou dynasty. Alas, seems the Tao and I must part Ways. 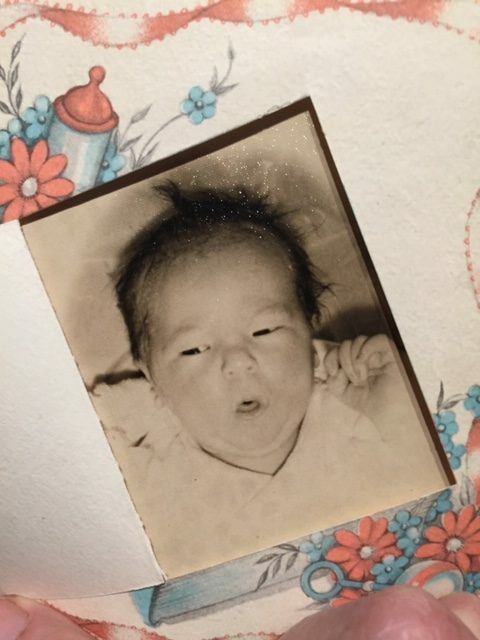 My baby pic raises a good question, though. Do the PC Cultural Appropriation Police figure mixed-lineage people like me get multiple deity options – or do we get none? Either way, if spirituality is a function of ethnicity, most of us are following the “wrong” faith. How do we know which is the right one? Guess it depends on how far back we need to go to save the poor, defenseless gods from the ravages of political incorrectness. Maybe those left-leaning Pagans should set up a Worship Court where they can sit in smug self-righteousness and presume to assign us our appropriate deities based on our skin color and geneology test kits. Scratch that. Don’t want to give them ideas. Because to believe it is possible to make a direct, unambiguous connection between the peoples of today and the peoples of the distant past assumes human history is ethnically stagnant, devoid of migration, conquest, intermarriage, exploration, adoption, and evolution. To believe it is possible to assign ancient pantheons to finite geographic locations and, presumably therefore, distinct ethnic affiliations assumes religious history is equally stagnant; that the old gods did not migrate, conquer, intermarry, explore, adopt, and evolve as well. And for modern-day Pagans to believe they are protecting the old gods’ cultural purview by imposing arbitrary limits on which deities people are allowed to love is hubris on a Oedipal scale. I’m sounding sanctimonious myself, so let me take a deep breath and focus for a moment on the double-helix crux of the problem: confusion about what constitutes cultural appropriation and entitled indifference toward figuring it out. MIS-appropriation happens when a dominant and privileged people or society adopts the customs, beliefs, and/or practices of another, generally less-privileged people or society inappropriately and/or without acknowledgement. Dolling up with “fashion dots”? Cultural appropriation. 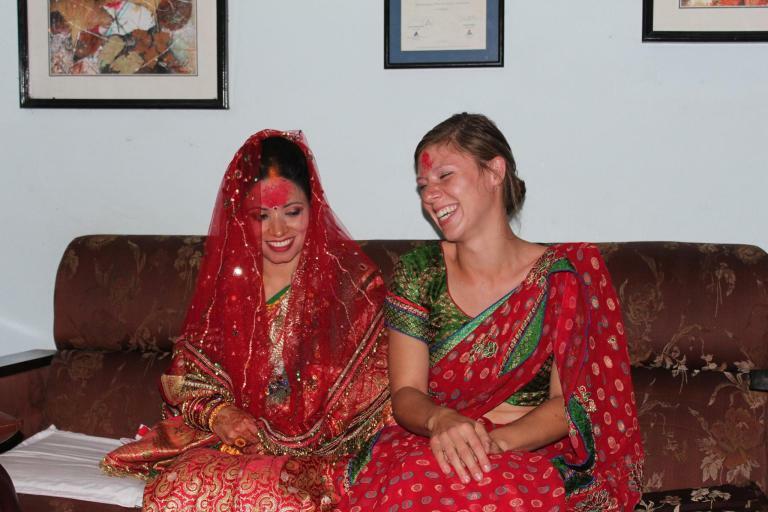 The bindi is a tradition among Hindu women, worn for religious reasons or to show they are married. Sure, there may be a totes legit reason for a non-Hindu woman to wear one – and if there is, those who own the tradition will put it on her themselves. A men’s group grabbing some congas and djembes, dragging them down to the beach, and whacking away at them? Internet-initiated Pagans donning fake feathers and fringe and pouring colored sand on the ground? Cultural appropriation. Why? Because messing about with the rites, arts, and traditions of other cultures from a place of willful ignorance smacks of colonial privilege, racism, and exploitation. But it is totes legit for someone to apprentice to a Master Drummer and join drumming circles with the Master’s blessing, and totes legit to learn about sand paintings from a Diné source. Don’t take without asking; that’s stealing. Seek permission to learn; that’s respect. Becoming PC is a life-long process involving painful self-examination. 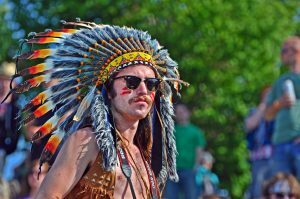 These “left-leaning” Pagans’ ill-considered, patronizing response to the need for sensitivity in the area of cultural appropriation stems from laziness and impatience. They don’t want to have to think their way through nuanced and endlessly varied situations for the rest of their lives. They want a no-brainer, binary choice: yes/no, black/white. Literally. There is no easy choice. Cultures shift, morph, migrate, grow, evolve, expand, and diminish; cultural parameters are fluid. We may have one ethnicity or many. We may be culturally rich or culturally destitute. We may find joy and succor in the religion we were born to, or we may be called upon to serve other gods. 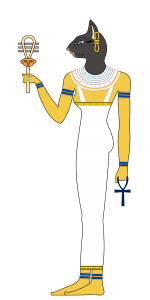 What’s easy is distinguishing between the trappings of religion and deities. The former – the rituals, traditions, customs, and practices – must be done appropriately and with acknowlegement, or not done at all. But when it comes to the latter, there’s not a person on the planet, Pagan or otherwise, with the spiritual cachet or moral authority to dictate which gods we sing to when the sun shines on our hearts or whose Names we call in the dark nights of the soul.